We are MarninSaylor, a small handmade toy company in Seattle. 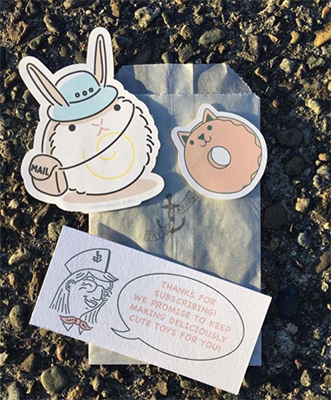 We started out making just plush toys but have since expanded our product offerings to include stickers, keychains, coloring books, tote bags, pins, patches, and more. We've officially been in business since September of 2013, but we sold our first products during Christmas-time 2012. 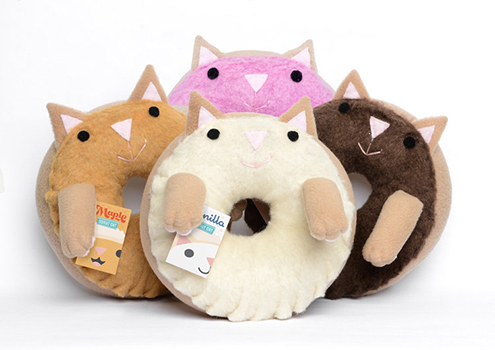 Our very first toy was the Donut Cat. I created one just for fun, and after posting a photo of my work on Facebook, friends and family began placing orders for holiday gifts. 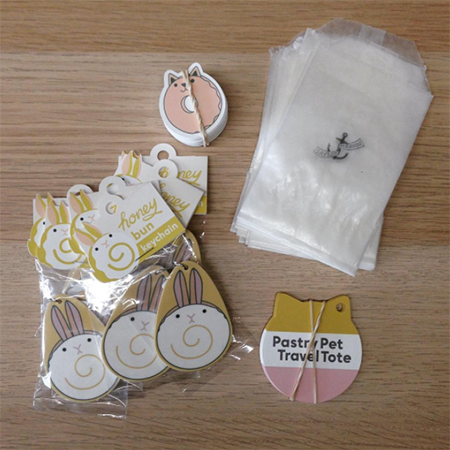 My now-husband, Thomas Marnin, convinced me that we could make a business out of the fantastical Pastry Pets, and so the following September we attended our first craft fair and MarninSaylor was born. Soon after we were accepted as craft vendors at Seattle's historic Pike Place Market and we've been growing ever since. Before purchasing our Silver Bullet, we were doing all of our cutting by hand. It was A TON of work! The Silver Bullet has helped our business in many ways. For one, it simply cuts (yes, pun intended) down the time needed to create so many aspects of our products. We can create many more items in far less time than when we were cutting everything by hand. Using the Silver Bullet also helps to minimize hand fatigue, which is pretty important when we spend most of everyday sewing. The many capabilities of the Silver Bullet have also allowed us to expand our range of products. 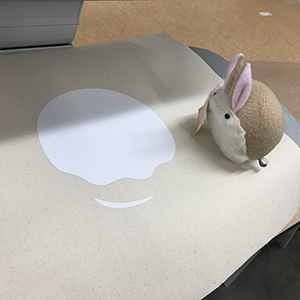 We primarily use our Silver Bullet for cutting paper items - business cards, hangtags, stickers, shipping labels, packaging, inserts, etc. 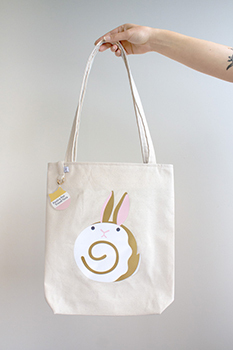 We also use it to cut our plastic keychains, heat-transfer vinyl for our tote bags, and more. We're always coming up with new ways to utilize our Silver Bullet. 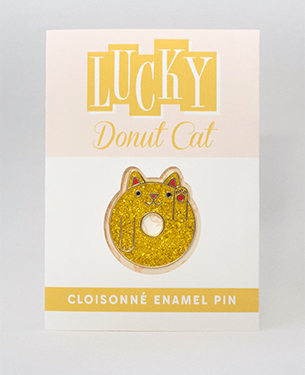 The Donut Cat, our very first product. 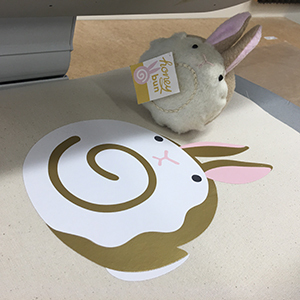 We use the Silver Bullet to cut the printed hangtags for these guys (and the rest of our toys). 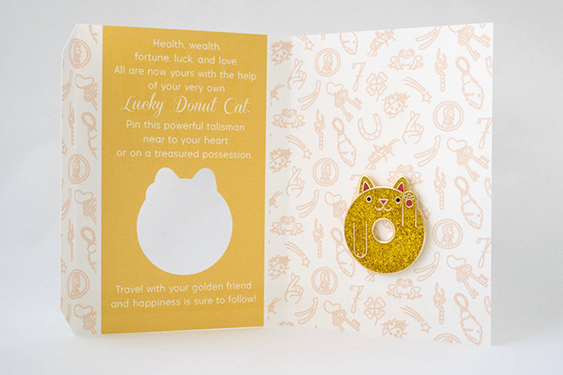 The exterior and interior of the packaging for our Lucky Donut Cat enamel pins. We use the Silver Bullet to create this custom packaging with cutout and folds. 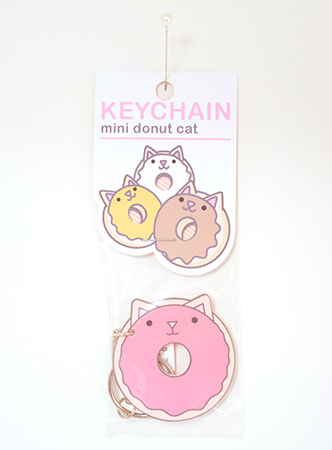 One of our many types of keychains. We use the Silver Bullet to cut the plastic keychains themselves, as well as the printed headers with cutouts and fold. 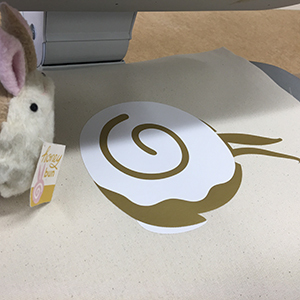 A Honey Bun sticker, our Donut Cat business card, and an insert card for our newsletter subscribers - all cut using the Silver Bullet. A stack of business cards, keychains with headers, and hangtags for our travel totes - all cut using the Silver Bullet. 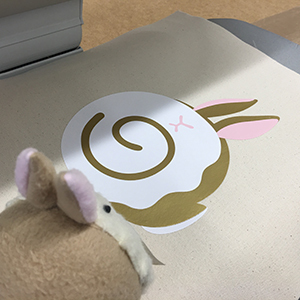 A Honey Bun looks on as we place the layers of heat-transfer vinyl for one of our Honey Bun tote bags. We cut all the vinyl for our bags using the Silver Bullet.